Leftover cooked chicken, how do I love thee? Let me count the ways…on the other hand, let me not, because we would be here all day. But one of the ways is definitely in this couldn’t-be-easier recipe for chicken soba noodle salad. Soba noodles, all kinds of fresh chopped veggies, a little of your favorite vinaigrette dressing, and that cooked chicken, torn into bite-sized shreds. It’s a healthy, hearty salad that helps welcome in spring with its colorful vegetables. Ready for some springtime salad deliciousness? 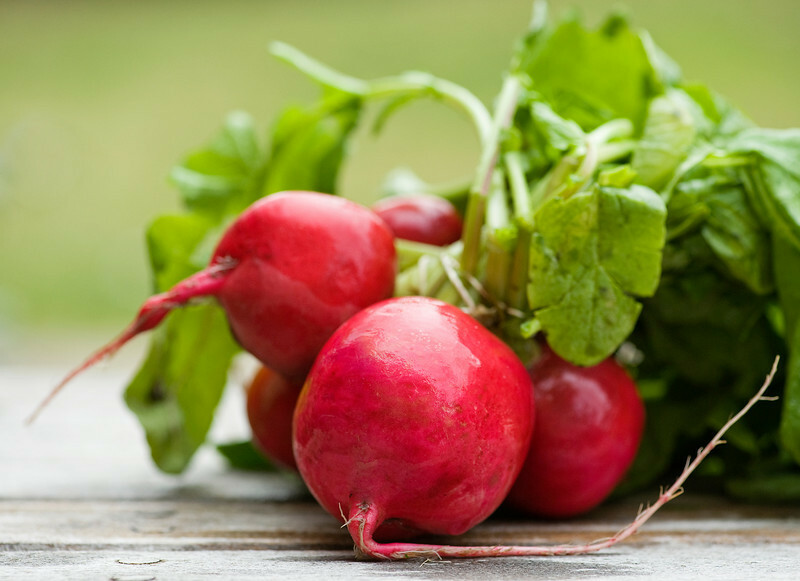 Let’s make it!You can use whatever combo of fresh vegetables you like, and I often vary things up when I am making this recipe, but one of my favorite versions includes cheery red radishes. They add just the right amount of spicy, crunchy sass to this dish. 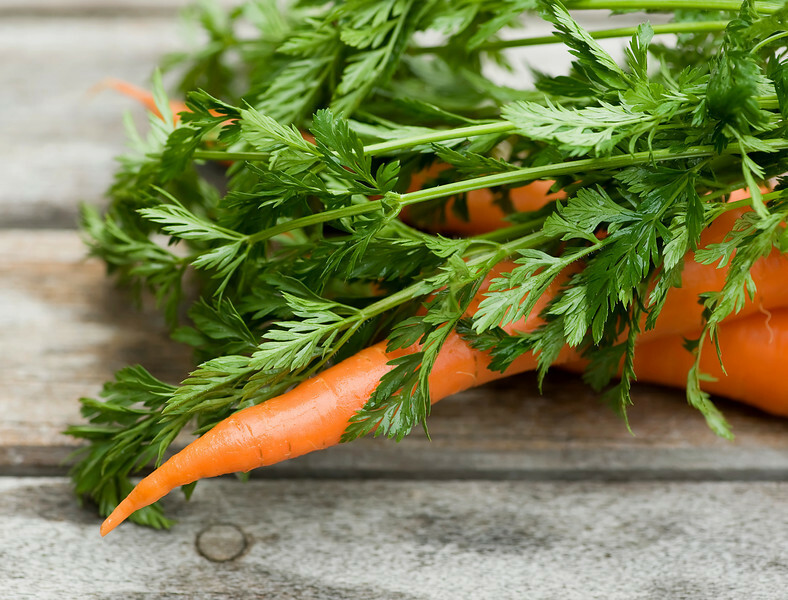 I especially love them with sweet shredded carrots…that’s a great flavor combo that tastes like springtime. You want to chop up your veggies first so you are all ready to go, because after you do that, this recipe will be ready as soon as you cook up the soba noodles. You can find them in the international section of your supermarket. Soba noodles are made with buckwheat flour and have a lovely nutty flavor that I like even more than regular pasta (and that is saying a lot, because I love me some pasta!). Cook them up and drain them, and then rinse them under cool water. After that, all that’s left to do is toss together the noodles, the veggies and your favorite vinaigrette (and as always, my favorite is Stonewall Kitchen. Love.) Drizzle the vinaigrette on in small increments and taste as you go…remember you can always add more dressing but you can’t take it away. Sprinkle the salad with sesame seeds and you are ready to eat! I always make extra of this dish because the leftovers make the best lunches. And I always make extra chicken when I am cooking chicken because the leftover chicken makes this delectable chicken soba noodle salad! It’s a wonderful endless circle of deliciousness! Cook soba noodles according to package directions. Drain and rinse under cool water and transfer to large bowl. Add chicken, carrots, cucumber, radishes and scallions to bowl and toss with noodles. Drizzle in a little vinaigrette, toss again and taste. Add more vinaigrette as needed, sprinkle with sesame seeds and serve! This looks incredible. Bookmarked to try! Thanks Beth! Hope you love it as much as we do! So fresh springy and healthy! I’m in! Looks like the perfect lunch for me. I am all about the spring veggies these days! This looks like the perfect healthy, quick and easy meal Kate! Need to try! Oh yay! I think you will love this one, Mary Ann! SO many gorgeous photos of these fresh veggies! 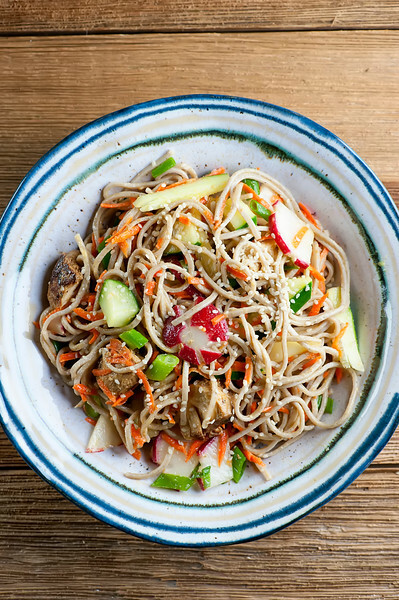 This noodle salad looks like just the perfect thing to bring on a spring or summer picnic. Love it! Ah, picnic season – isn’t it the best?? I love the simplicity of this recipe! Looks so tasty, I can’t wait to try it! Thanks Luci! Hope you love it. This is an exquisite salad recipe, Kate! Can’t wait to give it a try, especially after a good workout! Thank you! It’s my current favorite hearty salad! Can one substitute scallions with capsicum? That salad looks lovely n tasty.